World Dream Week is a global celebration of ideas, goals + dreams. September 24-30th, 2017. World Dream Day is September 25th. 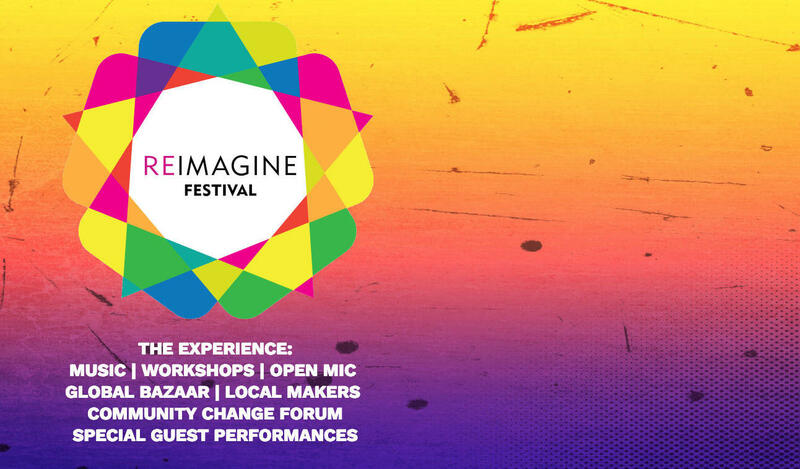 REIMAGINE Festival is a transformational, place-based festival that celebrates, supports + activates the power of positive possibility. We believe in Ground Level impact. We chose Newburgh to make that difference. The city of Newburgh was once a thriving hub of innovation. Located fifty five miles north of Manhattan, Newburgh, New York; a city of 29,000 inhabitants, was once considered by Time Magazine to be one of the greatest communities in the United States. That history has long been overshadowed by high levels of poverty, unemployment, crime and an overall feeling of malaise and hoplessness. In 2011, Newburgh, New York was regarded as one of the most crime-ridden cities per capita in New York State. The intention of the Newburgh Dream Center to re-ignite the power of possibility in a forgotten city. A city enshrouded in darkness that many believe went out long ago. Expand your business. Gain exposure. Give to a vital cause. Our Dream Grounds span the width of 4 historic buildings. Stop by and get ready to be inspired and amazed!